Rebekah Westover Photography: My dream. (Totally unrelated to photography). My dream. (Totally unrelated to photography). It's time. It's time to redecorate my family room area. Well, it's time to redecorate my whole house. But we will start with one room at a time. My current furniture is 8 years old. I have a few staple pieces that are timeless that I plan on keeping forever (hutch, grandfather clock, table). But my couches, rugs, pillows, artwork.....they have to go. I can't handle the pea green couch and red checkered chair any longer. Get me out of my country-bumpkin family room. I know nothing about interior design....so I'm not sure if it's OKAY to mix and match different furniture styles. I just put together a color scheme I love, and some furniture pieces I love. 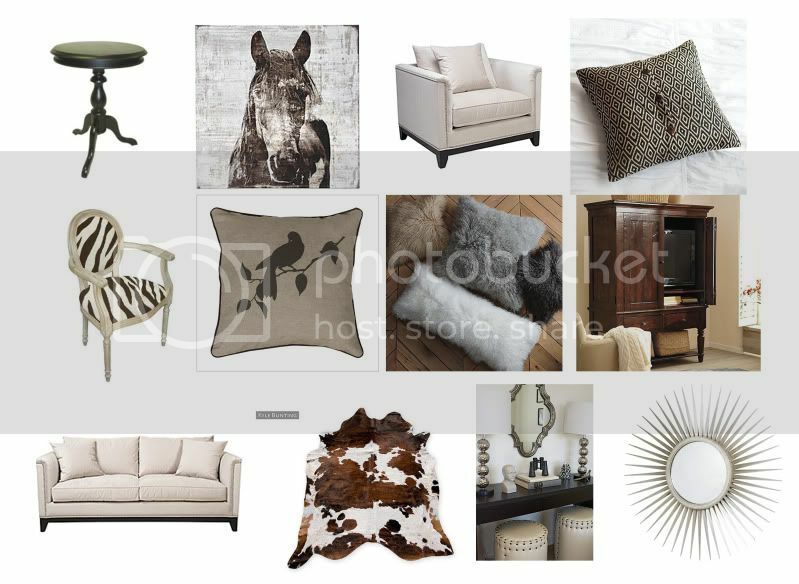 Is it okay to have a cowhide rug and zebra chair in the same room?? I don't know "the rules" of interior design....but I think this setup could look pretty darn snazzy in my home. And I've sat on that pearl couch at Z gallerie.....and it is COMFY. I know the hubby will say "NO WAY" to my proposed plan. He loves our stinky old pea-green couch. But I say "YES WAY!" to my dream family room. And I have very sneaky ways of getting what I want. Don't all women? He he he!! !